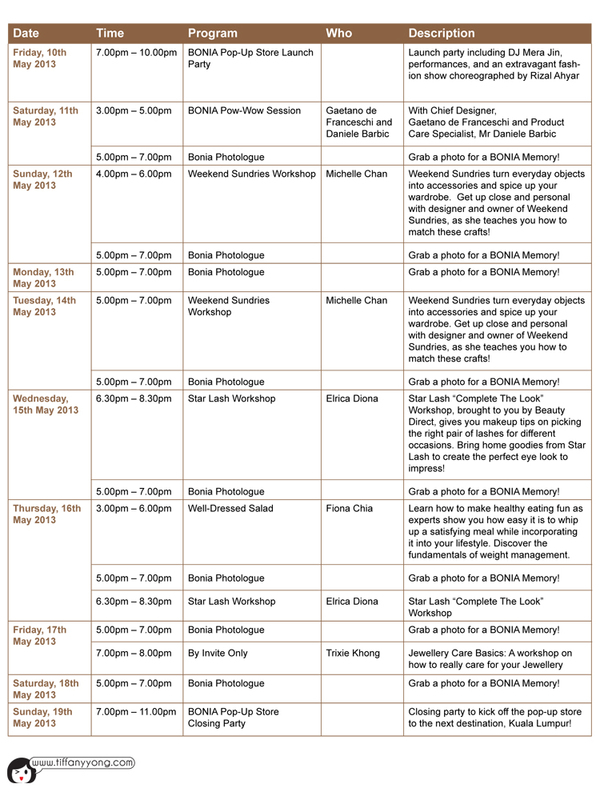 The BONIA Pop-Up Store will be extending their stay at Orchard Green until 31 May 2013! The 4,305 square feet store will still have exhibitions from their collaboration with Raffles Design Institute (RDI) on the first level, while the BONIA retail space takes up the second level. 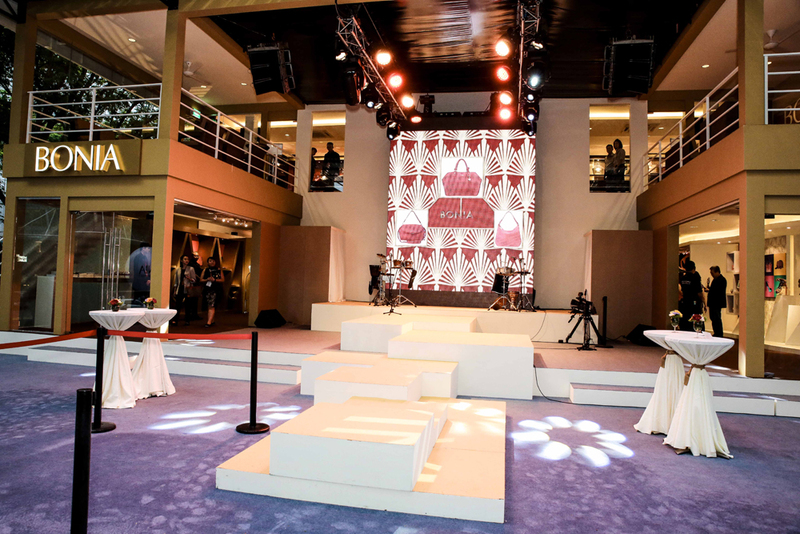 Expect live band performances and new dining spaces at the store while guests enjoy the exhibitions. Tall, pretty models, unrealistic fashion show, glamourous clothes, if you are thinking that’s what the BONIA Pop-up Store is all about, yes, you are right. And No, you are wrong (too). Themed “Chapter 39: BONIA Inspires”, the largest (to date) pop-up store, measuring 4,305 square feet has teamed up with the Raffles Design Institute (RDI) for students to present their designs on an international platform. So besides the fascinating fashion shows, you get to see how students are inspired by the BONIA products and come up with accessories, clothes and exhibition layout. The fashion show feature four themes – The Weekend Traveller, BONIA’s Evergreen Story, Quirkly Designs and Summer’s Bright Colours. Produced by established choreographer, Rizal Ahyar, renowned for his dramatic effects, the fashion show had indeed WOWed me with the wide range of BONIA products. In case you are not aware, BONIA is not only about ladies’ bags, they have bags for men, menswear, and even footwear. Check out what BONIA’s Brand Development Manager, Mr Geoffroy de Druoas revealed to me during the press conference! It’s a prototype, so you can’t find it anywhere else! 100 students were tasked to create five different exhibitions depicting Art Deco, Pop Art, Surrealism, Cubism and Fauvism in line with BONIA’s Spring/Summer 2013 concept, demonstrating the brand’s rich heritage in exploring diverse ways of integrating culture and fashion. “In this project, Interior Design students were tasked to work with Graphic Design students to conceptualise and design the look and feel of the pop-up store, while Fashion and Jewellery Design students were to sketch and handcraft garments, jewellery and accessories. ” said, Mr Guiseppe (Joe) Spinelli, Principal of Raffles College of Higher Education. If you think the photographers love snapping away during the Fashion Show, I can tell you almost half of their memory cards are used up at the last 15 minutes of the event when Sonia Sui turned up. Her “Superstar aura” outshine all the models (literary) with her bright yellow dress. As part of Samsung Fashion Steps Out 2013, organised by the Orchard Road Business Association (ORBA), the travelling pop up store will be in Singapore from 10-19 May 2013 at Orchard Green, next to the Singapore Visitors Centre. Visitors who take a photo of themselves together with a BONIA product in the pop-up store that inspires them and post it on Instagram with the hashtag #BONIA39 win a pair of tickets to Milan, Italy and a BONIA travel set! Building on BONIA’s theme of “Inspiration”, daily workshops will be conducted by emerging Singaporean brands Star Lash, Weekend Sundries, By Invite Only and Well-Dressed Salad, all of which will dispense wisdom on the inspiration of entrepreneurship, wellness, and fashion. These workshop sessions are open to the public. Like BONIA’s Official Fan Page to be updated with the latest collection!